In charge of the Civil Procedural Area and specialist in Civil Liability in Healthcare Matters. Graduate in Law, with a Master’s Degree in Health Law (Universidad San Pablo CEU of Madrid). 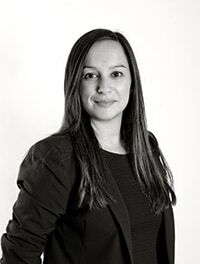 With more than 10 years of experience in the field, she has worked in national and multinational companies in the Law Sector before she joined the Firm. Practising lawyer. In charge of the Corporate Department. Graduate in Law, with a Master’s Degree in Corporate Legal Advice (IE). Lawyer for companies, company groups and non-profit organizations and M&A transactions. She has more than 15 years of experience in the field. Practising lawyer. In charge of the Criminal, Accountancy and Corporate Area. Graduate in Law, with a Master’s Degree in Corporate Legal Advice of IE School. Practising lawyer with more than 20 years of experience in internal and external legal advice to real estate and new technology companies, as well as private clients. He also collaborates with V2C providing legal advice to national and international companies. Practising lawyer. In charge of the Tax Area (IRPF/IRNR/Expatriates) and coordinator of the legal services in the Russian Federation. Graduate in Law, with an International Master’s Degree in Fiscal Consultancy (ISDE), having worked in different national firms before he joined the Firm. Practising lawyer. In charge of the Administrative Department of V2C Abogados, administrative technician with a course in Business Management and Marketing taken in Valencia, and with more than 10 years of experience in administrative management.